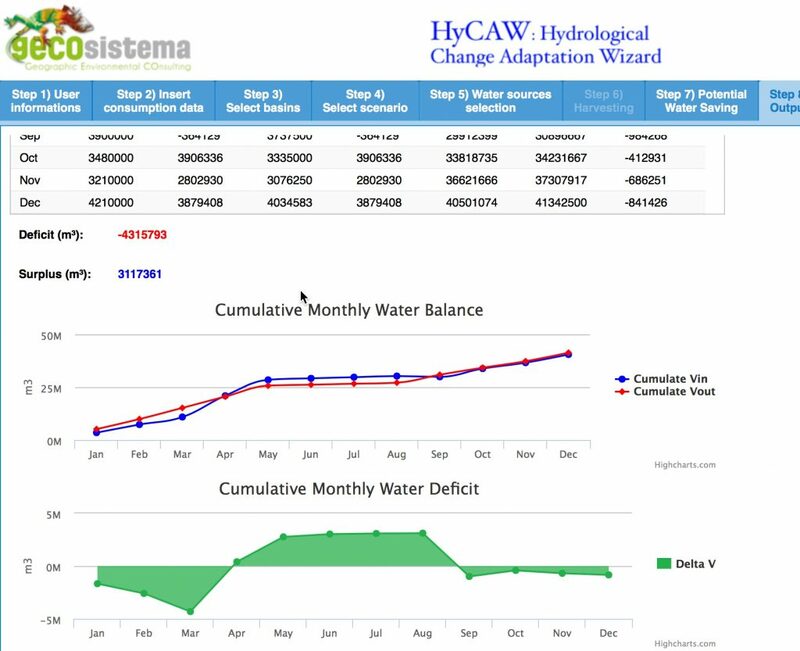 Changes in temporal and total water availability due to hydrologic and climate change require an efficient use of resources through the selection of the best adaptation options and water saving strategies. IS YOUR BUSINESS HIGHLY WATER DEMANDING ? DO YOU NEED TO COPE WITH HYDROLOGICAL AND CLIMATE CHANGE? The tool entails knowledge of the intra-annual distribution of available surface and groundwater flows at a site under present and future (climate change) scenarios. 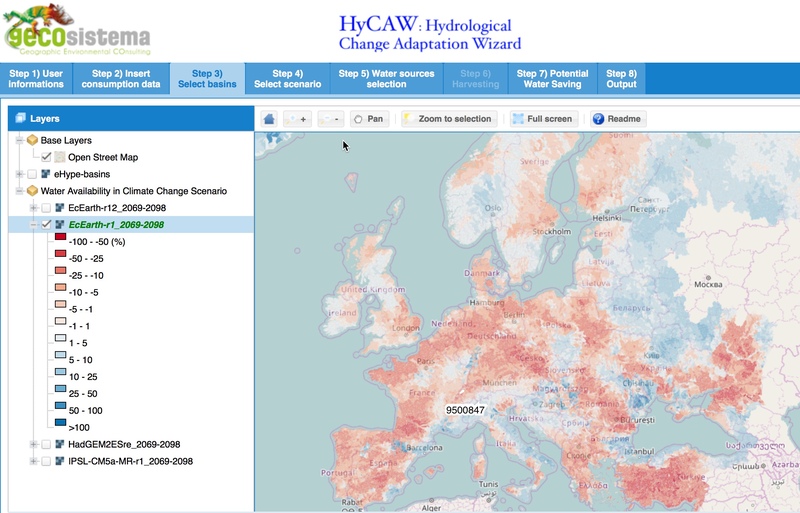 This information is extracted from long term scenario simulation by E-HYPE (European hydrological predictions for the environment) model from Swedish Meteorological and Hydrological Institute, to quantify the expected evolution in water availability (e.g. percent reduction of soil infiltration and aquifer recharge; relative seasonal shift of runoff from summer to winter in mountain areas; etc.). Users are requested to provide in input their actual water supply on a monthly basis, both from surface and groundwater sources. 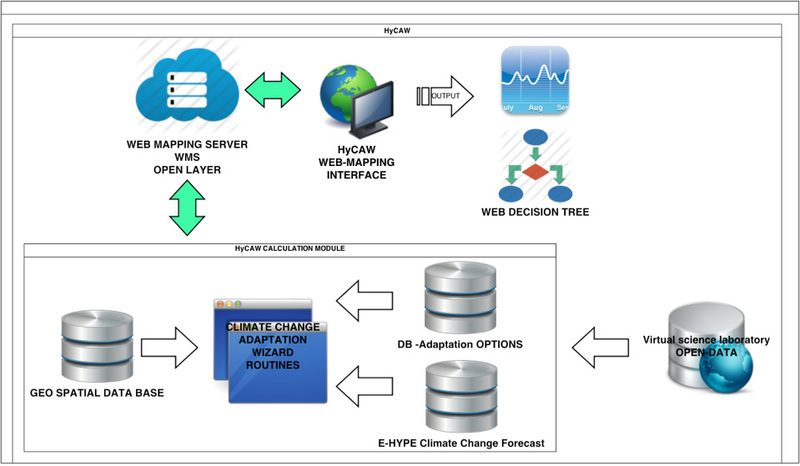 Appropriate decision trees and an embedded precompiled database of Water saving technology for different sectors (household, agriculture, industrial, tourisms) lead them to interactively identify good practices for water saving/recycling/harvesting that they may implement in their specific context. Find out the HyCAW demo now!